Mint and yellow go together so nicely. Wouldn't you agree? It's a palette that just works. Perfect for Spring or Summer weddings, these are the sort of colors that were just meant to go hand in hand. And so today I just wanted to pop in and share a few of my favorite mint and yellow wedding ideas. Because this is hands down one of my most requested color palettes! Happy Spring! 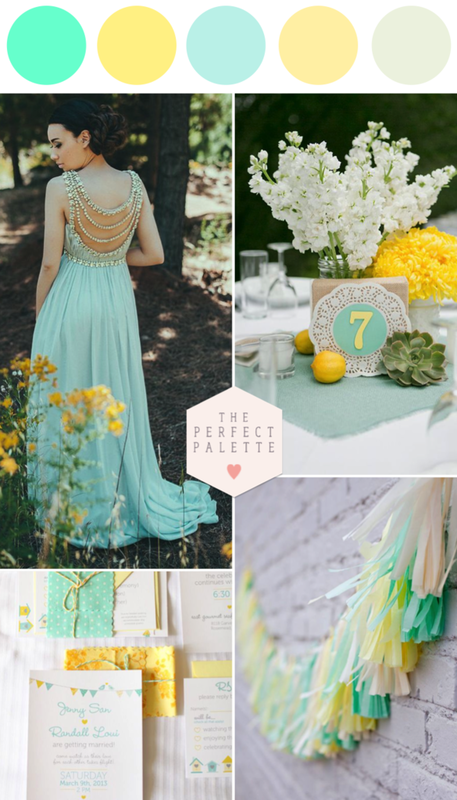 4 Comments " Mint and Yellow for Spring and Summer Weddings "
That mint gown is gorgeous! That dress it's beautiful, and the color palette to.